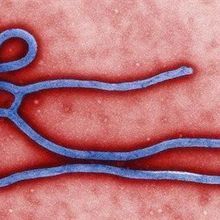 An experimental vaccine against Ebola virus disease may completely protect people against infection, according to a clinical study in Guinea. 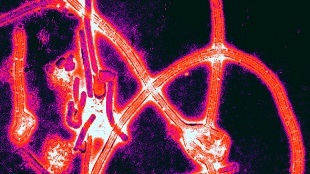 WIKIMEDIA, PLOS PATHOGENSInterim results from a Phase 3 clinical trial of thousands of individuals in Guinea suggest the rVSV-ZEBOV Ebola vaccine—an attenuated livestock virus engineered to produce an Ebola protein—is safe and highly effective, according to a report published last week (July 31) in The Lancet. None of the 2,014 individuals who were vaccinated at the start of the trial contracted Ebola after a 10-day window to account for a pre-existing infection, while only 16 of the 2,380 people who received the vaccine 21 days later became infected. 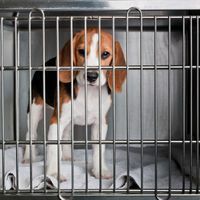 The data indicate that the vaccine, which was developed by the Public Health Agency of Canada and then licensed to NewLink Genetics and Merck, could provide protection as high as 100 percent. “We believe the world is on the verge of an efficacious Ebola vaccine,” Marie-Paule Kieny, the World Health Organization’s assistant director-general for health systems and innovation, said during a press conference in Geneva, Switzerland, on Friday (July 31), according to Nature. The trial, launched this March, used a ring vaccination design, in which all close contacts of an Ebola patient are vaccinated. 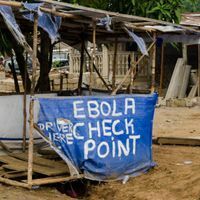 Some individuals were vaccinated immediately upon identifying an Ebola patient in their family member or friend, while others were randomly assigned to receive the vaccine three weeks later. As of July 20, no new infections were reported after 10 days in people who were vaccinated immediately, suggesting possible complete protection against Ebola virus. On the basis of the results, Kieny told Nature, the trial investigators will terminate the delayed vaccination arm, and children may also start to receive the vaccine.